Security forces have stormed a mosque in Cairo to remove supporters of ousted president Mohamed Morsi who had illegally barricaded themselves inside. 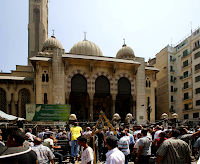 Egyptian security forces surrounded the Al-Fatah mosque, and broke through barricades of furniture pushed up against the doors. Local television footage showed gunmen firing from inside, moments after tear gas canisters were reportedly fired into the mosque prayer room. Protesters had refused to leave the premises, fearful that they would attacked by enraged local residents. 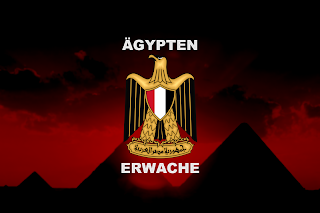 The Muslim Brotherhood staged a number of marches in various Governorates throughout Egypt, including Tanta, Fayoum, Port Said, Alexandria, Kafr Al-Sheikh, Al-Arish, and Minya, attacking goverment and security buildings. In all cases local residents co-operated with police and security forces in beating back the rioters. It appears that the average citizen in Egypt is losing patience with the Brotherhood looters and rioters, realising that the continuation of civil unrest is destroying the already weakened economy. 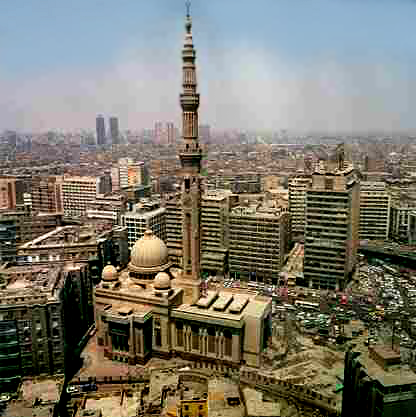 Forty Christian Churches have been looted and 'torched', and twenty three have been badly damaged by the Muslim Brotherhood since the start of recent demonstrations. Meanwhile, the interim government announced that it was considering 'dissolving' the Muslim Brotherhood. A large Islamic complex on an area of 2000 square meters , which can accommodate 5000 worshippers. Its minaret is 130 m high . It includes : a main library another one for rare islamic manuscripts, lecture halls, , an Islamic museum and an outpatient clinic. The head of Egypt's armed forces has said that his message to the supporters of ousted President Mohammed Morsi is that "there is room for everyone". Gen Abdul Fattah al-Sisi urged them to help "rebuild the democratic path" and "integrate in the political process". But he also warned the military would not be silent in the face of violence. Later, at least 36 detained members of the Muslim Brotherhood were killed when they tried to escape during their transfer to a prison outside Cairo. Initially, the interior ministry said they died in an exchange of fire after some of them took a military officer hostage and the convoy of prison vehicles, transporting a total of 612 detainees to Abu Zaabal prison in Qalyubia province, was attacked by unidentified gunmen. But later the ministry said the prisoners died from the effects of inhaling tear gas, which was fired when the escaping detainees took a police officer hostage. He was freed, but was badly injured, it added. The interior ministry separately said so-called "people's committees", which have been set up by residents of some areas to provide security, would be banned because some had been used for vigilante activities. Meanwhile it was reported that 79 people were killed and 549 wounded in violence across the country on Saturday. That raised the nationwide death toll since Wednesday, when security forces forcibly cleared two pro-Morsi protest camps in Cairo, to more than 830, including 70 police and soldiers. Gen Sisi deposed Mr Morsi on 3 July, saying the military could not ignore the millions of people who had been demanding the resignation of Egypt's first democratically elected president. Before security forces launched the operation to disperse the Cairo sit-ins, the armed forces chief asked millions of people to take to the streets to give him a "mandate" to fight "violence and terrorism", an apparent reference to the Muslim Brotherhood, the Islamist movement to which Mr Morsi belongs. 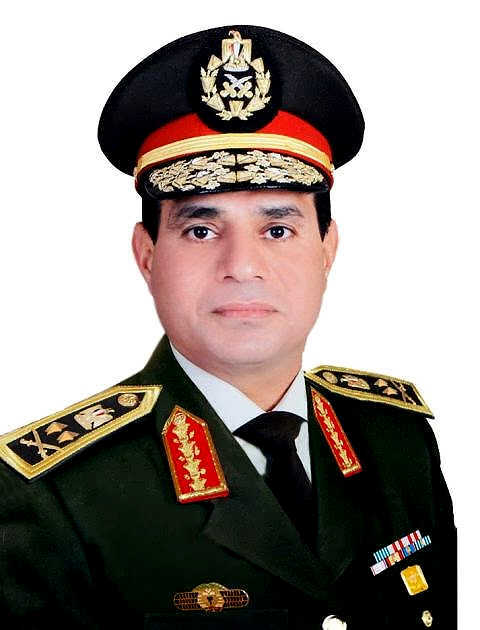 In a speech to army and police officers on Sunday, Gen Sisi warned that the military would not allow further violence after the latest unrest. "We will not stand by silently watching the destruction of the country and the people or the torching the nation and terrorising the citizens." But the general also appeared to strike a conciliatory tone towards his opponents, urging them to join in the political process. "There is room for everyone in Egypt, and we are cautious about every drop of Egyptian blood." The Brotherhood has called for daily demonstrations since security forces cleared its protest camps in Cairo on Wednesday and declared a state of emergency. More than 600 people were killed during the operations, including dozens of security forces personnel, and at least another 173 died on Friday during a so-called "day of rage" called by the Brotherhood . Also on Sunday, the interim government met to discuss the unrest. Afterwards, Information Minister Dorreya Sharaf el-Din said the cabinet wished to express its regret the loss of life, but would continue to confront "terrorism" firmly. The cabinet is also believed to have discussed Prime Minister Hazem Beblawi's proposal for the legal dissolution of the Muslim Brotherhood. 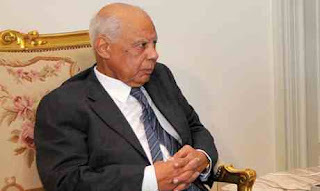 حازم عبد العزيز الببلاوى‎ (born 17 October 1936) is an Egyptian economist and politician who has been interim Prime Minister of Egypt since 2013. Previously he served as deputy prime minister and minister of finance in 2011. After the July 2013 ouster of President Mohammed Morsi and his government, Beblawi was named interim prime minister. Beblawi was born in Cairo, Egypt on 17 October 1936. He studied law at Cairo University and graduated in 1957. He obtained a postgraduate degree in economics from the University of Grenoble in 1961. He also holds a PhD in economics, which he received from the University of Paris 1 Pantheon-Sorbonne in 1964. The 85-year-old Islamist movement was banned by Egypt's military rulers in 1954, but registered itself as a supposedly non-governmental organisation in March in response to a court case bought by opponents who contested its legal status. 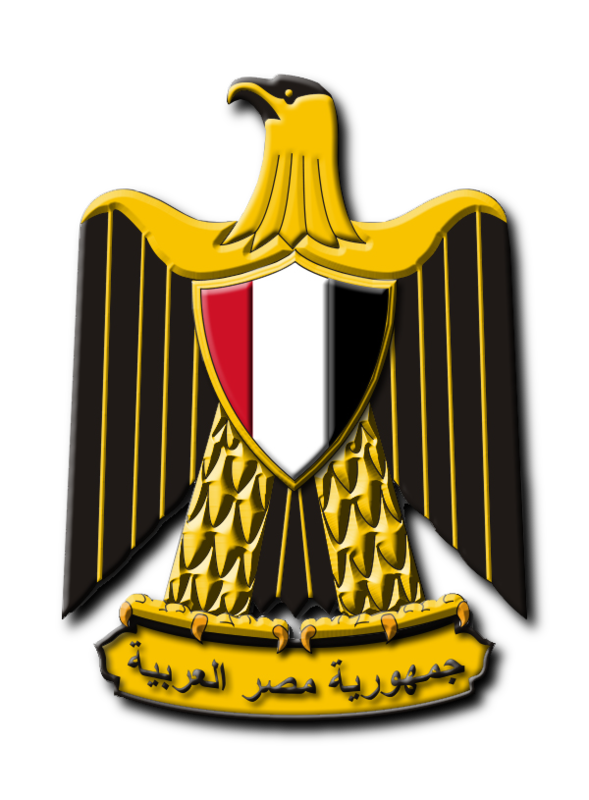 The Brotherhood also has a legally registered political wing, the 'Freedom and Justice Party', which was set up in June 2011 as a "non-theocratic" group after the uprising that forced President Hosni Mubarak from power, - however it should be noted that no group derived from the Muslim Brotherhood can be correctly described as 'non-theocratic'. At a news conference on Sunday, the interim Foreign Minister, Nabil Fahmy, showed video clips showing armed protesters firing on security forces in Cairo. He said, significantly, that the government was faced with an attempt to "shake the foundation of the state". 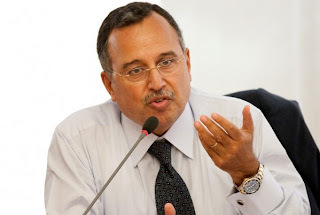 Nabil Fahmy (born 5 January 1951) is an Egyptian diplomat and politician, and the current foreign minister in the interim government of Egypt. Nabil Fahmy was born in New York on 5 January 1951. His father, Ismail Fahmy, was Anwar Sadat's foreign minister from 1973 to 1977. He holds a bachelor of science degree in physics and mathematics, and a master's degree in management, both of which he received from the American University in Cairo in 1974 and 1976, respectively. More than 1,000 Brotherhood members have been detained in raids since Wednesday, with officials saying bombs, weapons and ammunition have been seized. 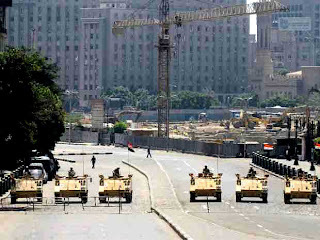 Some 300 were held in several cities on Sunday, including Cairo, Alexandria, Assiut and Suez, security sources said. 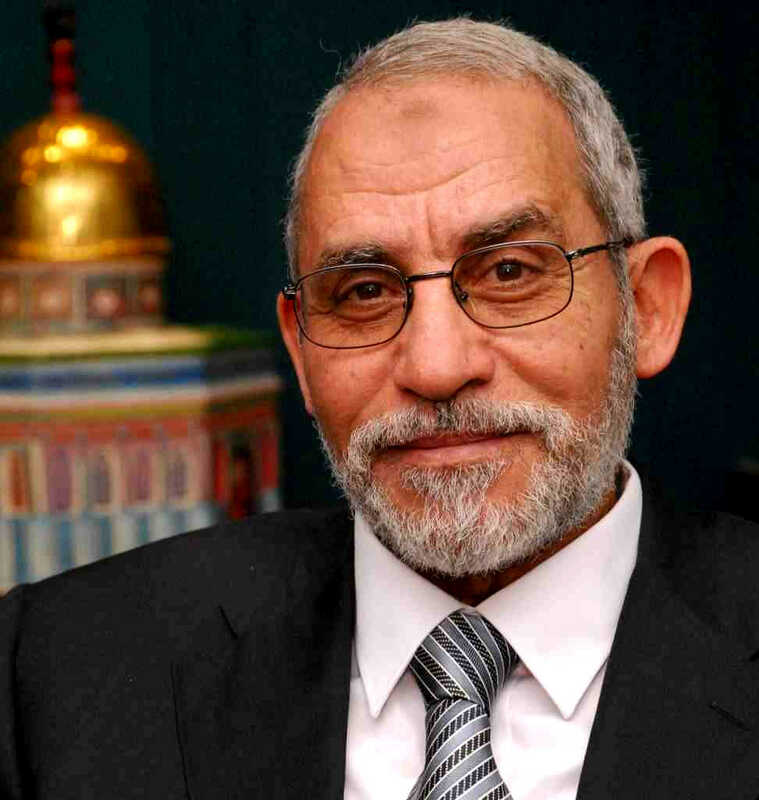 The 'supreme guide' of the Muslim Brotherhood, Mohamed Badie, has been arrested in Cairo. محمد بديع‎ (Muhammad Badie - born 1943) is the 'Supreme Guide' of the Muslim Brotherhood. He has headed the Egyptian branch of the international Muslim Brotherhood organization since 2010. Before becoming general guide, Badie had been a member of the group's governing council, the 'Guidance Bureau', since 1996. Badi'e was born in the industrial city of Mahalla al-Kubra on 7 August 1943. He received a degree in veterinary medicine at Cairo in 1965. In 1965, Badie was arrested for his political activities, along with Muslim Brotherhood leader Sayyed Qutb, and sentenced to 15 years in prison. He served 9 years and was released in 1974 by President Anwar Sadat. 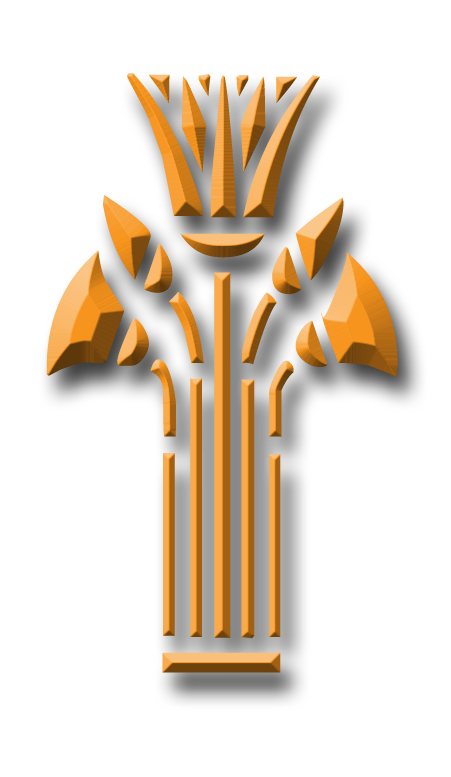 Badie became a member of the Brotherhood’s al-Mahalla al-Kubra administrative office the following year and was eventually named chief of that branch. From 1986 to 1990, he served as a member of the Brotherhood’s administrative office in Beni Suef. In 1993, he became a member of the group’s 'Guidance Office'. In 1998, he was imprisoned for 75 days as a result of his participation in the 'Islamic Dawa Society' in Beni Suef. 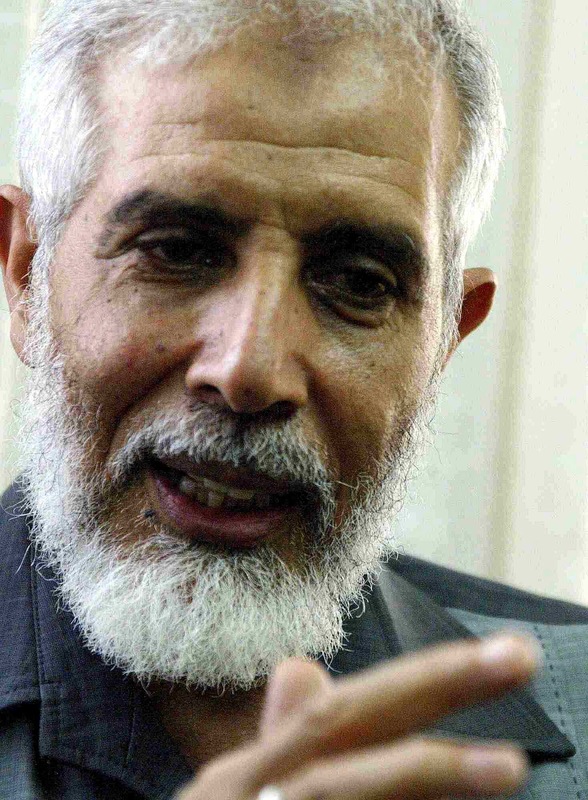 In 2010, Badie was named 'supreme guide' of the Muslim Brotherhood, replacing Muhammad Mahdi Akef. In July 2013, a travel ban was put on Badie as well as Egyptian President Mohammed Morsi and Badie's deputy Khairat el-Shater. The arrest came as authorities pursued a crackdown on the Brotherhood, the group behind the political party of ousted president Mohamed Morsi, which has sparked deadly protests and international condemnation. Badie was arrested in an apartment near Rabaa al-Adawiya square, where more than 200 Morsi supporters were killed on Wednesday as police cleared their protest camp. Both public and private television channels showed pictures of Badie, 70, being escorted away by police. Senior members of the Muslim Brotherhood organisation, including Badie, are wanted for questioning, accused of inciting the deaths of protesters. Prosecutors have set an August 25 date for the trial of six top Brotherhood leaders for "incitement to murder." 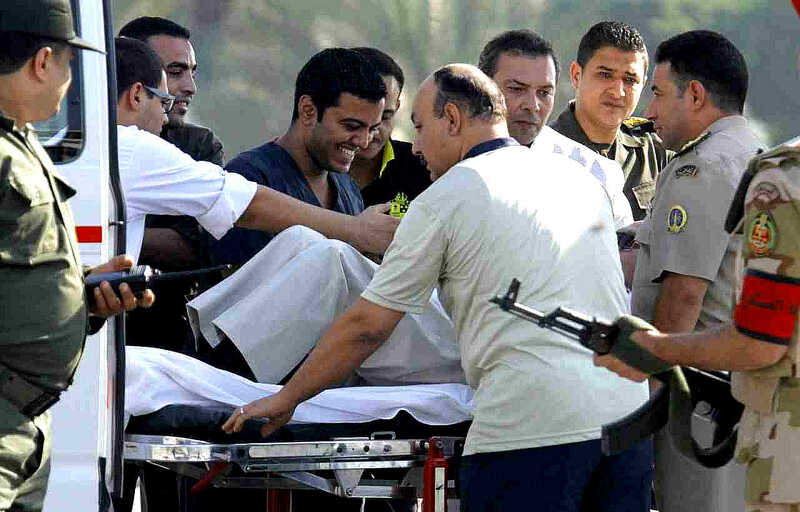 The arrest came days after Badie's son was killed in protests against Morsi's ouster. 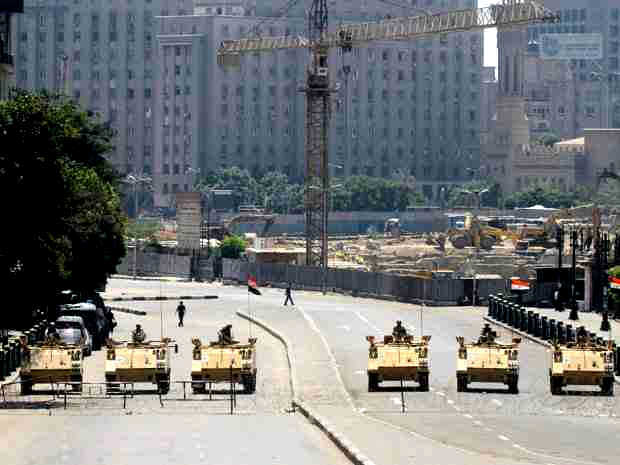 Egypt's interior ministry has said it has arrested more than 1,000 Muslim Brotherhood "elements" during the unrest. 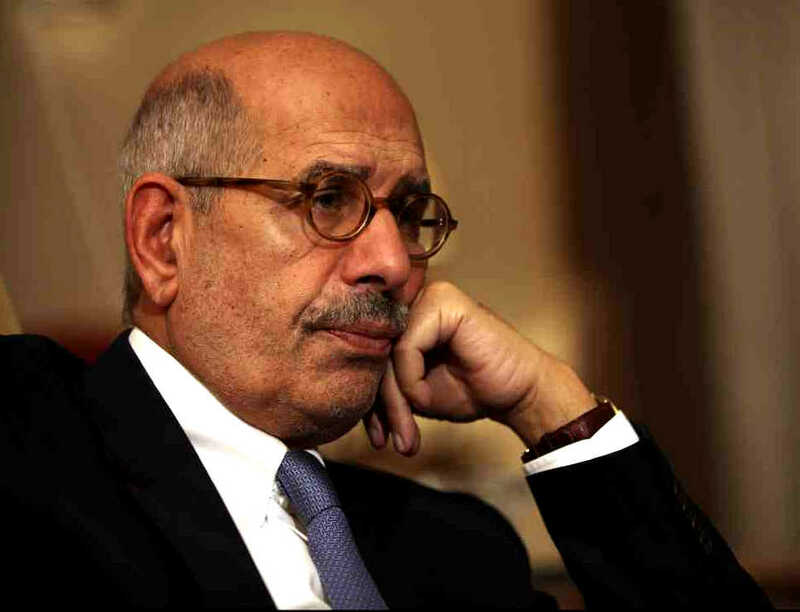 Egyptian Nobel Peace Prize winner محمد مصطفى البرادعى - (Mohammad Al Baradei) is to face trial on September 19 over his resignation as vice president, after a deadly crackdown on the Muslim Brotherhood. The case against him was brought by the head of criminal law in Helwan University, who argues that Al Baradei was appointed vice president as a representative of the opposition, and was obliged to refer his resignation to them. Al Baradei left Cairo for Vienna (?) on Sunday. محمد مصطفى البرادعى - (Mohamed Mustafa El Baradei - born 17 June 1942) is an Egyptian law scholar and diplomat who was the acting Vice President of Egypt from 14 July 2013 to 14 August 2013. He was the Director General of the International Atomic Energy Agency (IAEA), an intergovernmental organization under the auspices of the United Nations, from 1997 to 2009. He and the IAEA were jointly awarded the Nobel Peace Prize in 2005. El Baradei was also an important figure in recent politics in Egypt, particularly the 2011 revolution, which ousted President Hosni Mubarak, and in the 2013 protests and military action that toppled President Mohamed Morsi. According to Egyptian authorities, hundreds of people were killed in last Wednesday’s assaults on two Cairo protest camps of supporters of ousted Islamist president Mohammad Mursi in the country’s worst violence in decades. The Muslim Brotherhood has put the death toll at over 2,000 (?). 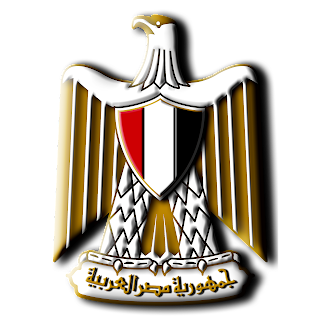 The Egyptian armed forces on Tuesday arrested 11 people, including two Palestinians, in Sinai over attacks on the police and army premises. The forces raided several criminal hideouts early Tuesday morning and arrested them. The operation came one day after suspected militants ambushed two buses carrying security forces in Egypt’s northern Sinai, killing at least 25 soldiers. The security condition deteriorated in Sinai since the ouster of former president Hosni Mubarak in 2011, and became worse after his successor Mohammad Mursi’s government was toppled, which triggered violence between security forces and Mursi’s supporters. The new prosecutor-general dropped charges of embezzlement against President Hosni Mubarak, which means a minor charge of accepting illegal gifts from a state-owned newspaper is left as the only outstanding accusation on which he can remain in jail. President Mubarak still faces charges of complicity in the shooting dead of more than 800 protesters in the 2011 revolution which ended his rule, but the term limit on his remand on custody has expired in that case. Speaking in Egypt's embassy, Ashraf El Kholy compared the one-year rule of Morsi to the Islamist takeover of the Iranian state after the 1979 revolution and said that, like Fascism, the Muslim Brotherhood ideology sought to dominate Egyptian society. "Morsi was elected president and held office for one year but in that time he tried to make everything Muslim Brotherhood controlled. Egyptian culture over 5,000 years is a mix of religions and civilisations in which the Islamic religion is one ingredient of the Egyptian character. The Muslim Brotherhood are like a Fascist group that demand that everything changes, and people everything to their way." The Muslim Brotherhood has appointed a new supreme guide after Mohammed Badie, its previous leader, was arrested by Egyptian police tipped off as to his hiding place. The interior ministry triumphantly released pictures of a disconsolate-looking Mr Badie, 70, sitting on a sofa beside a table as the police prepared to take him away in the early hours of Tuesday morning. But the Brotherhood declared that Mr Badie was just "one individual" (apparently not the 'Supreme Guide' ? ), and that his arrest would make no difference (?) to their campaign against the new military-backed rulers. Mahmoud Ezzat, deputy leader of the Muslim Brotherhood, will assume the role of 'supreme guide' of the group on a temporary basis, after the security forces arrested so-called 'supreme guide' Mohamed Badie. Mahmoud Ezzat is a doctor, with a Doctorate in medicine from Zagazig University (1985), master’s degree in medicine (1980), B.S. in medicine (1975), diploma from Institute of Islamic Studies (1998), and was born in 1944. After becoming acquainted with the Brotherhood as a boy, Ezzat began studying with the group in 1962. He was imprisoned along with Supreme Guide Muhammad Badie from 1965 to 1974 and has been a member of the MB Guidance Office since 1981. He is married to the daughter of former supreme guide Mahdi Akef. At a press conference, the Brotherhood-led "National Coalition for Legitimacy" (yet another politico-religious group) said there would now be a campaign of civil disobedience and a boycott of state-linked companies and media - which will of course be yet another blow to an already collapsing economy. Mr Ezzat is one of a number of deputy leaders of the Brotherhood. He is part of a faction led by the most powerful deputy, and the organisation's chief strategist, Khairat al-Shater, who is already under arrest. 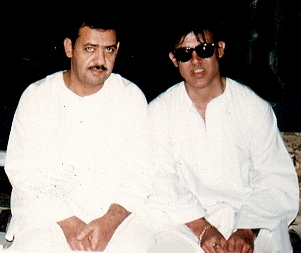 محمد خيرت سعد الشاطر ‎- Mohammed Khairat Saad el-Shater (born 4 May 1950) is an Egyptian engineer, businessman and Islamist political activist. 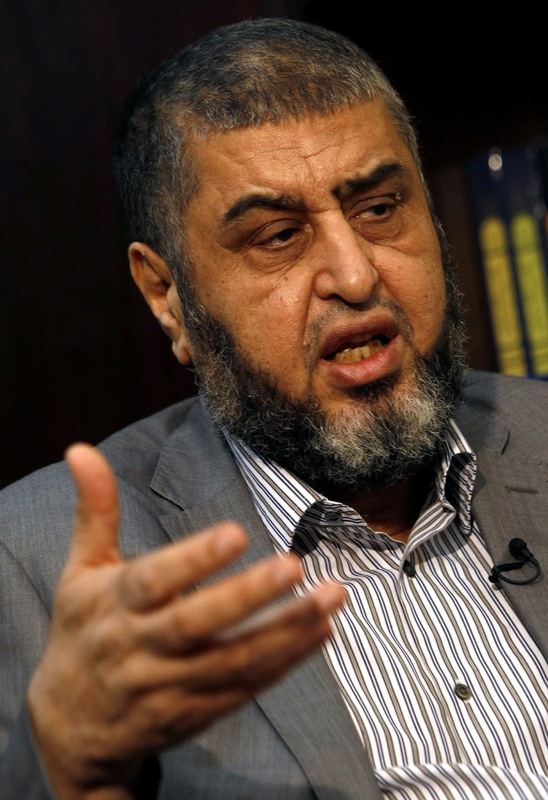 A leading member of the Muslim Brotherhood, el-Shater was the initial candidate of movement's 'Freedom and Justice Party' during the 2012 Egyptian presidential election before being disqualified by the election commission. Previously, he was the deputy chairman of the Brotherhood. Born in Dakahlia, el-Shater joined the youth wing of the ruling Arab Socialist Union Party at age 16, during the presidency of Gamal Abdel Nasser. He studied engineering at the Alexandria University. After serving in the military for two years, el-Shater studied for a Master's degree and worked as a lecturer at the Mansoura University. After president Anwar Sadat's assassination in 1981, el-Shater was exiled as an Islamist dissident, and left for England. After returning in the mid-1980s, he became an active member of the Muslim Brotherhood. 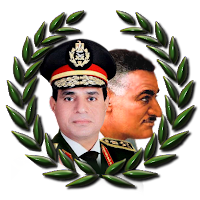 In 1995, he became head of the Brotherhood's Greater Cairo branch. He is considered a main financier and chief strategist of the Brotherhood. Even though he is the nominal number two in the Brotherhood's hierarchy, some consider him its actual leader. El-Shater was arrested on 5 July 2013. 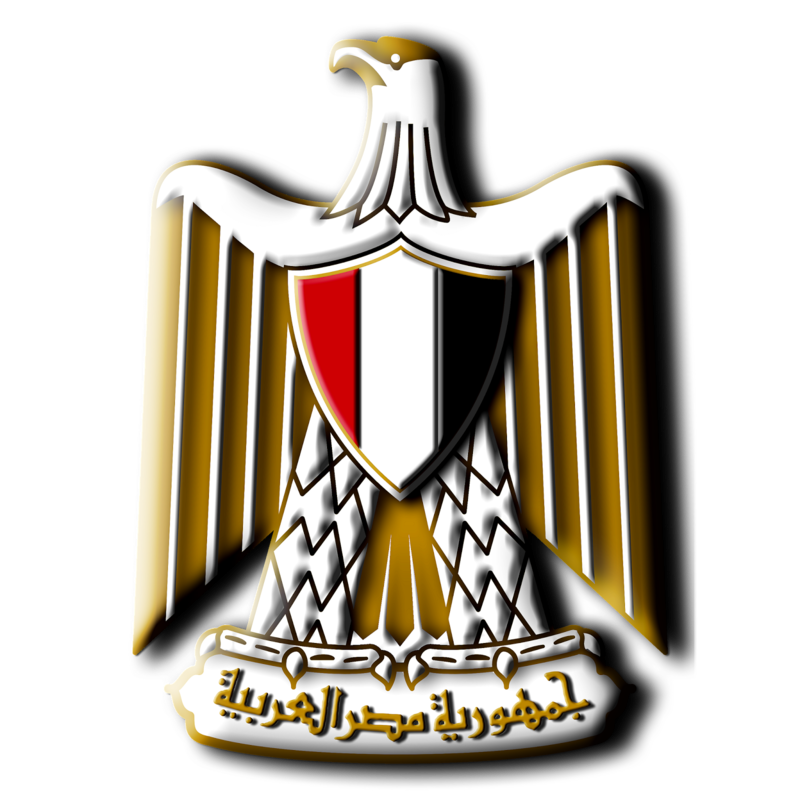 On 14 July 2013 Egypt's new prosecutor general Hisham Barakat ordered his assets to be frozen. An Egypt court ordered the release former President Hosni Mubarak on bail on his last corruption case. 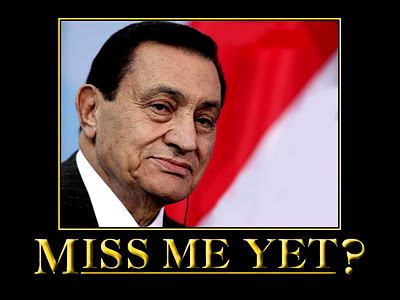 President Mubarak still faces a retrial on charges of involvement in the killing of protesters during the 2011 unrest which toppled him, but the term limit for remand in custody has expired. In this corruption case, Mubarak and his two sons were charged with misusing power and accepting gifts via his information minister. President Mubarak's lawyer, Farid al-Deeb, has stated that President Mubarak will pay back the money equivalent to the worth of the gifts, and that he is confident that the ex-president will be released. "President Mubarak will be freed (on bail) unless he is charged with other crimes," legal expert Aly Mashallah said, adding the prosecution is the sole authority to determine his final release. 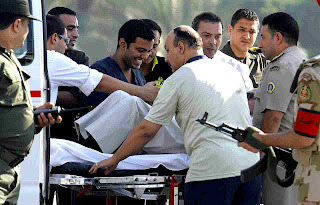 He asserted Mubarak will be released on Thursday or Friday as the prosecution decision won't take more than two days. As the decision was issued by the consultative chamber of the Appeals court, the prosecution cannot appeal against it, an official judicial source confirmed. On Monday, Cairo Criminal court ordered to acquit President Mubarak on looting funds allocated for maintaining the presidential palaces. On Saturday, an Egyptian court postponed the retrial of the former president over charges of protester death to August 25th, amid ongoing riots triggered between Islamists and security forces after the ousting of his successor Mohamed Morsi. Mass protests called by Egypt's Muslim Brotherhood mostly failed to materialise on Friday, as the movement reels from the army crackdown on followers of ousted President Mohammed Morsi. Troops and police had taken relatively low-key security measures before the "Friday of Martyrs" processions that were to have begun from 28 mosques in the capital after weekly prayers. 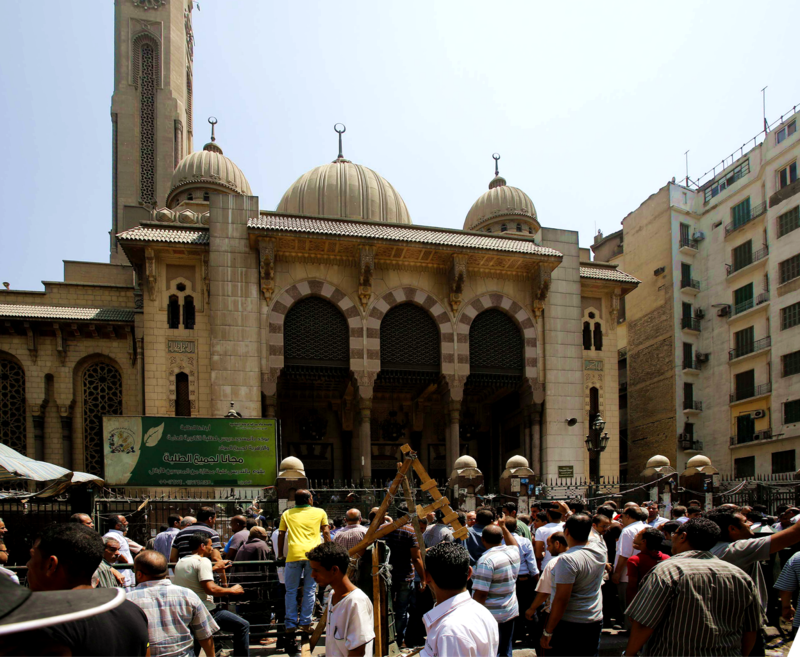 But midday prayers were cancelled at some mosques, and few major protests unfolded in Cairo. There were no reports of violence, but the Brotherhood's website said one person had been killed in the Nile Delta town of Tanta in clashes with security forces. Brotherhood supporters also turned out in Alexandria, several Delta towns, the Suez Canal city of Ismailia, the north Sinai town of Rafah, and Assiut in the south, with minor skirmishes reported in some places. "We are not afraid; it's victory or death," said Mohamed Abdel Azim, a retired oil engineer who was among about 100 people marching slowly from a mosque near Cairo University. Despite his defiant words, the mood of the protesters seemed subdued, perhaps a sign that the crackdown and the round-up of Brotherhood leaders has chilled the rank-and-file. The Brotherhood, hounded by Egypt's new army-backed rulers, had called for demonstrations across the country against the crackdown, testing the resilience of its battered support base. Security forces kept a watchful eye, but did not flood the streets, even near Cairo's central Fateh mosque, where gun battles killed scores of people last Friday and Saturday. The mosque's metal gates and big front door were locked and chained. Prayers were cancelled. Two armoured vehicles were parked down the street, where people shopped at a busy market. Only one riot police truck stood by near Rabaa al-Adawiya square in northeastern Cairo, home to the Brotherhood's biggest protest vigil until police and troops stormed in, killing hundreds of people, bulldozing barricades and burning tents. أحمد محمد أحمد الطيب‎ (Ahmed Muhammad Ahmed el-Tayeb) is the current Grand Imam of al-Azhar and president of al-Azhar University. He was appointed by the Egyptian President, Hosni Mubarak, following the death of Muhammad Sayyid Tantawy in 2010. 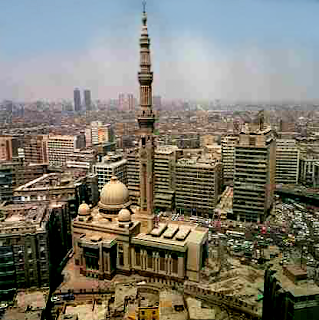 He is considered to be one of the most moderate Sunni clerics in Egypt. Ahmed El-Tayeb holds a Ph. D in Islamic philosophy from the Paris-Sorbonne University, and has been president of Al-Azhar University since 2003. Between 2002 and 2003, Ahmed l-Tayeb served as Grand Mufti of Egypt. Born in 1946, his home town is Al-Qurna, near Luxor in southern Egypt. His family are Sufi, and he has expressed support for a global Sufi League.